March 1, 2019 | BY: Trinh Le, R.D. March 1, 2019 Trinh Le, R.D. It’s hard to find a food that beats eggs (pun fully intended!). 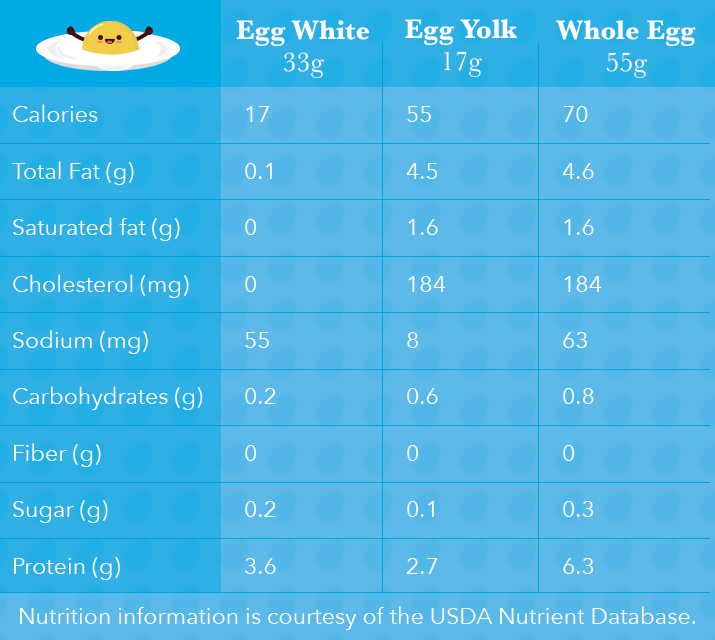 Eggs are nutrition powerhouses that can make an already healthy meal feel more filling. If you love eggs, you’re not alone — Americans eat about 250 eggs per person, per year. The term “superfood” doesn’t have an official definition, but if it did, eggs would probably fit the bill. One large egg is just 70 calories and provides 18 vitamins and minerals including vitamins A, D, E, B6, B12, folic acid, biotin, choline, calcium, iron, selenium, and the list goes on. Of these nutrients, eggs are a really good source for biotin, choline, and selenium — one egg satisfies more than 25 percent of your daily needs for each of these three nutrients. Choline is an important nutrient for brain health, cell development, and muscle function. Research suggests that many people aren’t getting enough of it. “Eggs are one of the few foods high in choline, which may help people get through long workouts with more stamina, ” says Marisa Moore, MBA, R.D.N. You may already know that eggs are a high-protein food favored by fitness folks. But did you know egg protein is a worthy rival for whey protein? Eggs are also considered complete proteins because they contain the right amounts of the nine essential amino acids that our bodies can’t produce. Both egg and whey protein get similar marks for how easy and efficiently they can be digested, absorbed, metabolized, and incorporated into your organs and muscles. “Adding eggs to a post-workout meal can help facilitate muscle recovery and reduce muscle breakdown,” says Krista Maguire, R.D., C.S.S.D., and Beachbody nutrition manager. Egg’s protein power means they’re popular in meal plans for people who want to build muscle and serious bodybuilders. Caveat: Protein alone won’t get you very far unless you lock down a consistent training regimen. Due to their high protein content, eggs can help feel more full and help stave off any cravings commonly experienced during weight loss. A study of overweight adults found that those who ate an egg breakfast achieved 65 percent greater weight loss, compared to those on a bagel breakfast that was similar in calories. The egg eaters also achieved 34 percent greater reduction in waist circumference. Impressive, but keep in mind that this study was only two months long. To lose weight — and keep it off — requires a healthy, balanced diet combined with consistent exercise. Caveat: Eggs can help, but they’re not a weight-loss miracle. The Consumer Price Index found that an average dozen of egg is $1.22 in 2017. This price varies widely depending on where you live, but this is a steal for such a nutritious food. 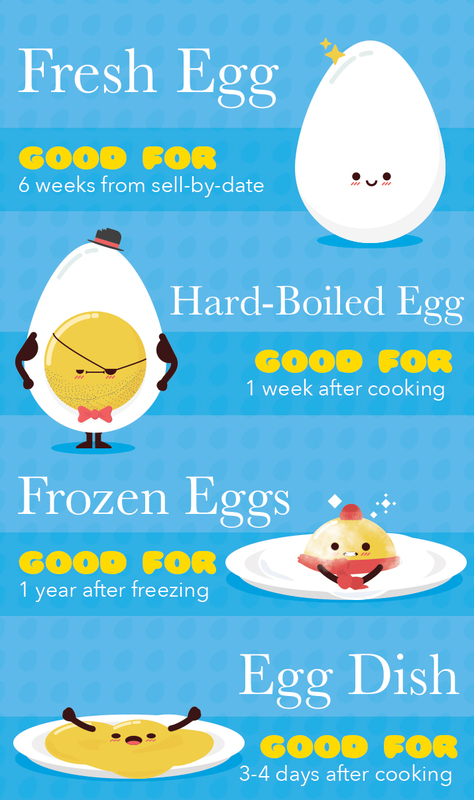 Eggs prove that you don’t need to break the bank to add a high-quality protein to your diet. Scrambled, sunny-side up, poached, hard-boiled, omelets, frittatas, wraps, stratas — the culinary possibilities of eggs are endless. You can enjoy them for any meal of the day and you can pretty much add them to any dish. Which is better for you? Both! Let’s crack open the reasons why: Egg whites are popular among fitness folks because they’re fat-free and hold most of the egg’s protein. Guess where the other 40 percent of an egg’s protein is? The yolk is where you’ll find all the fat-soluble vitamins A, D, E and K, as well as almost all the other vitamins and minerals. Some folks may still be concerned eating the yolk because they grew up in an era that demonized cholesterol-rich foods. People were taught that cholesterol was dangerous because once in the blood, it could clog arteries and up the risk of heart disease. One egg contains 185 milligrams of cholesterol, and people were advised to cap daily intake at 300 milligrams. But in the updated Dietary Guidelines for Americans (2015–2020), nutrition experts changed their stance: Gone is the 300-milligram cholesterol cap; experts have concluded there isn’t enough evidence to have that cap. Sonya Angelone, M.S., R.D.N., CLT and spokesperson for the Academy of Nutrition and Dietetics corroborates that the link between dietary and blood cholesterol is weak: “A healthy person can have an egg a day, on average,” she says. One small study even suggests young, healthy adults can eat up to three eggs daily while maintaining normal blood cholesterol levels. So, if egg cholesterol isn’t all that harmful, what is? “Research has been pointing the finger more so at saturated and trans fats as the main culprits when it comes to elevated blood cholesterol and heart disease risk,” clarifies Maguire. Don’t judge an egg by it’s eggshell: White or brown, the color is determined by the breed of hen that’s doing the laying, not by its nutritional content. Don’t be fooled by “designer” eggs: These are labeled as enriched in omega-3, lutein or vitamin-E. It means the hens have been fed a food source with these nutrients. While some of it may end up in the egg, it’s not worth the bigger price tag. Cook eggs thoroughly: Raw eggs put you at higher risk for salmonella, a bacteria that may cause diarrhea, cramps, fever, and vomiting. Cook your eggs until the white and yolk are firm. Egg-based dishes like casseroles, quiches and frittatas should be cooked to 165 degrees F.